WARNING! If your business isn’t ready for a drastic increase in sales leads, this report is not for you. Does your company need to generate more leads in order to grow? 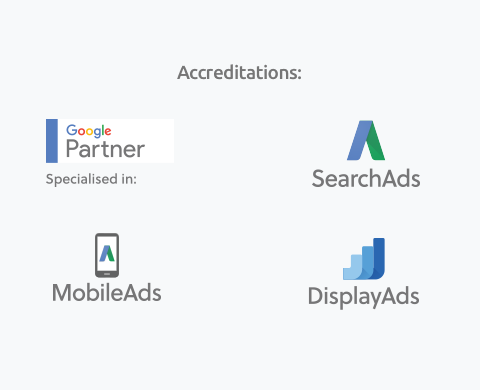 Have you tried or thought about trying Google Adwords, but can’t see the sense as it’s so damm expensive? What if it didn’t have to be? Either way, the result is paying far too much for far too little. But it doesn’t have to be that way. In this report you will learn the secret tricks that Adwords experts use to decrease your cost-per-click and exponentially increase your lead volumes without any additional spend. How would your like to be generating 200-300% more highly qualified leads every single month, without spending a single additional dollar on advertising? To start getting more lead tomorrow, grab your copy of the free report today. Learn the most common ways people waste money on AdWords and how you can do the opposite, to turn their losses into your winnings. Discover the simple settings that turn a money burning AdWords campaign into a profit printing lead generation machine. Find out what your competitors are doing to out rank you, out bid you and out earn you with a smaller budget. Get your hands on the best questions to ask your AdWords manager to see if they’re doing what it takes to get you the absolute best return on your investment. Let the data tell the story. In this example, this business was paying $38 per lead and using the strategies outlined in the report we were able to drop it to $8 per lead meaning they can get 5X the leads from the same budget. In this example, the business was paying $277 per lead !!!! and using the tricks in the report, they are now down to $12 per lead and getting exponentially more leads for the same money. We have put together one of the best Digital Marketing teams in the country, in order to help small businesses like yours get access to world leading, cutting edge digital strategies and an incomparable return on investment. We are a Direct Response, Digital Advertising Agency which means we only create digital advertising campaigns that make people money. If it doesn’t make our clients money, or it cant be tracked, we don’t do it. They say: ‘you get what you focus on’, and we focus 100% on this for our clients. There is a small window of opportunity for your business to take advantage and leverage these secrets before other AdWords managers learn these secrets, lift their game and the opportunity is gone forever. Grab your free copy of the report today while you still can. Register for your free report!